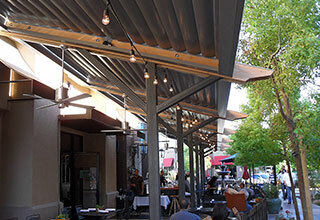 Create comfortable dining rain or shine with the flip of a switch! 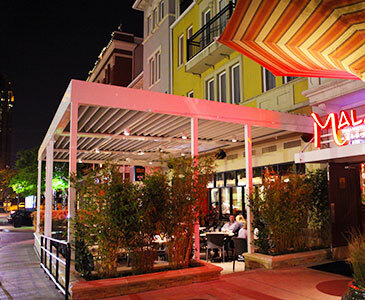 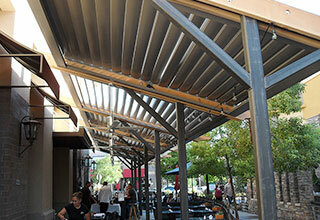 The Equinox® Louvered Roof system has been designed to maximize comfort and functionality of your outdoor dining space. 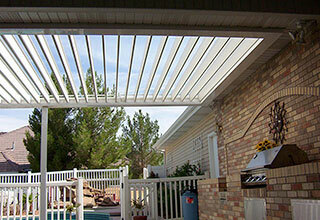 The louvers can be positioned to provide you with the exact amount of protection or ventilation needed.